Don't call it a comeback! No, we know, Mario's always "back." 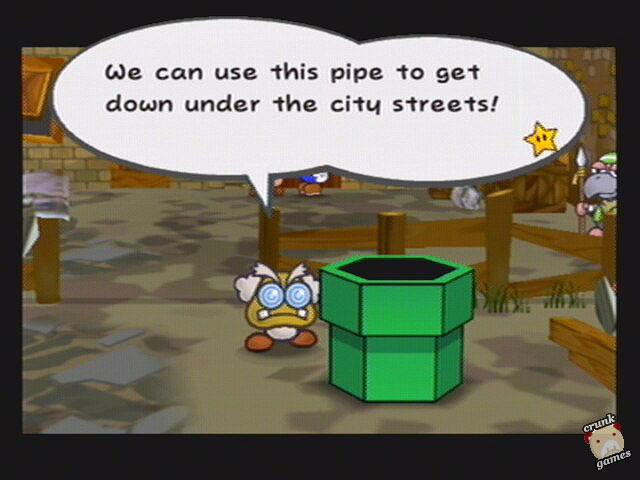 But not Paper Mario! Yeah! Oh, just read the thing. The thin man returns, hot on the trail of Peach and a new enemy in the form of the X-Nauts. 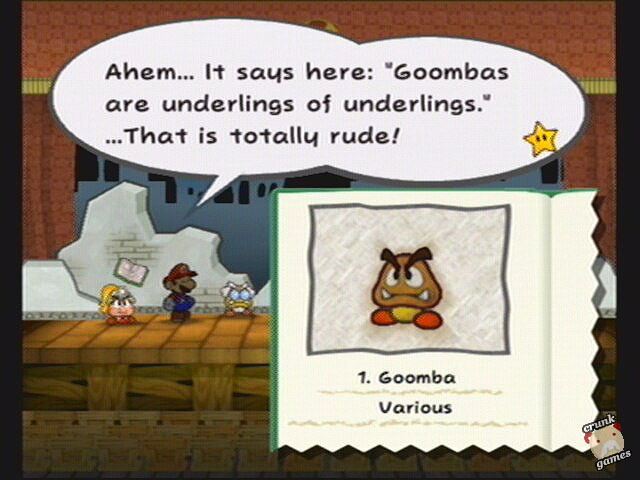 The original Paper Mario was a mess. Not that it was a bad game, goodness no, but like many other N64 projects, it took forever to be released, and when it finally was, nobody was around to care. It’s a shame since Paper Mario was one out of two N64 RPGs worth playing (of a total… what, four?). This time, without much warning, we have a sequel for GameCube when it couldn’t be out at a better time. Once again Princess Peach finds herself kidnapped when in pursuit of a legendary treasure. But Bowser doesn’t have her ithis time, it’s a strange race of alien beings known as the X-Nauts (no relation to the seedy Japanese publisher). 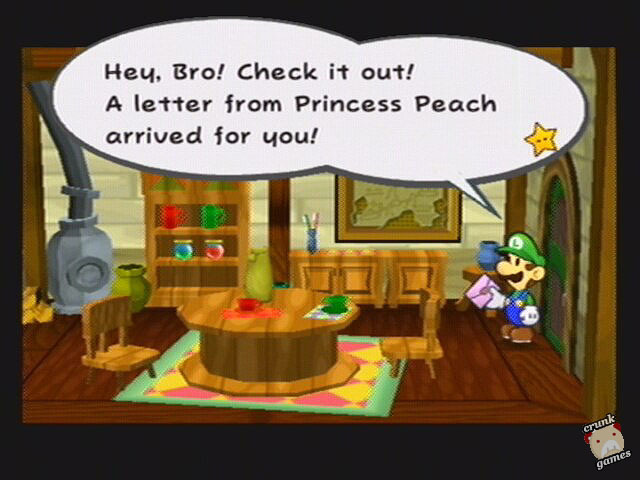 But before that happened she managed to send off a letter to Mario inviting him to come to Rogueport, the harbor town that she traveled to. 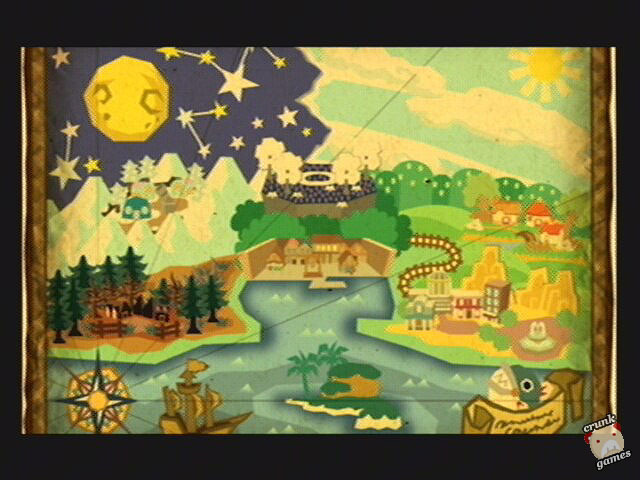 Leaving Luigi behind once more, Mario heads to Rogueport to meet the princess, but discovers she’s gone missing. With a stable of new partners to meet and a boatload of clues to unravel, Mario sets off on another great adventure. True to form, the story is a big part of this game. The localization, again handled by NOA’s talented team, is flowing with snarky, groany, tongue-in-cheek dialogue to compliment the like-minded actions of the cutscenes. With Mario away from home, there’s no way to read Luigi’s fruity diary, but the green one will pop up after chapters to tell Mario the stories of his own adventure that he also happens to be on.His long-winded tales read like a parody of Mario’s quest, but with Luigi a bit of a parody himself it works quite well. The goal to let each character have a full readable "voice" was also realized, which is the biggest part leading to all that snarky groanyness. TTYD is a wonderful sequel, but it’s not all that vastly different or improved over the original, especially in the battle system. Largely unchanged from the other Mario RPGs , the game still relies on timed button presses to enhance attacks to lessen damage. A new twist is the audience: with the "paper diorama" angle of the game heavier than ever, every battle fades into a stage, with a full audience for Mario to fight in front of. An indicator at the bottom of the screen counts how many spectators there currently are, and how much you succeed or fail has a bearing on it. The better you do, the more will join the fun and the faster your special star power meter will fill to keep the special moves comin’. But the audience can also dissipate, even get disgruntled as they toss rocks and other objects onto the stage and possibly Mario’s head (but nicer folks can also throw more useful items). 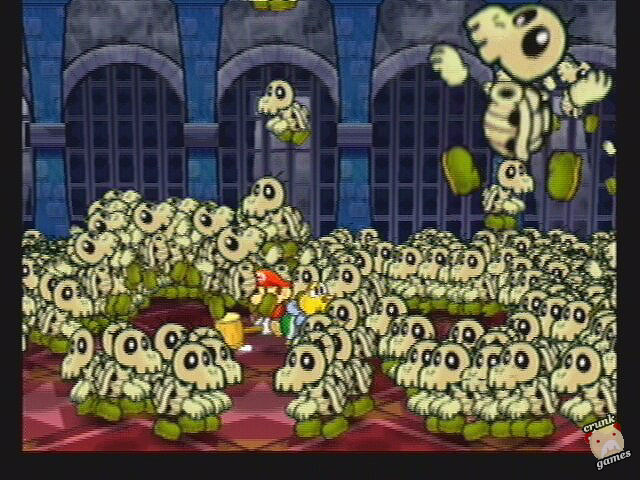 Sure, TTYD doesn’t do much more than the original other than being bigger, brighter and higher-res, but it’s not all bad. In fact, for Paper Mario newbies it won’t make a bit of difference, and all-time fans get a new story and new locations to traverse. Still, it’s a little disappointing that nothing’s happened to the gameplay in 3 years.